Support multiple Apple devices for transferring and managing files. Direct Transference/Storage of Media Files, Apps and PDF. Fast and Easy Media Files Transference. Multiple technical supports are provided. Not support files like Camera Roll, SMS, voice memos and contacts. Not support converts video, DVD files to iOS devices. No support makes iPhone ringtone. Edit ID3 info. is not allowed. 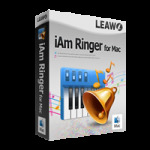 Leawo iTransfer is a practical iOS transfer program that can successfully transfer and manage media files among all iOS devices without iTunes. How do we review and rate Leawo iTransfer? Leawo iTransfer is a powerful combination of iPod transfer, iPhone transfer and iPad transfer which can successfully transfer media files among all iOS devices, back up to PC and iTunes, shift from iTunes and PC library to iOS devices, manage media sources without iTunes. It is capable of fulfilling data sharing on various Apple products through devices transferring, guaranteeing data security by means of copying iPod to computer, iPhone to computer and iPad to computer, managing files as perfect as iTunes. Leawo iTransfer allows you to transfer all kinds of medial files, apps and PDF directly among iOS devices, iTunes and PC, such as music, movies, videos, TV shows, phone ringtones, photos and other media files. During the transferring process, the powerful functions like filter and file search will help you smartly sort out the target files for backing up and transferring so as to avoid the file duplication and get access to the target file in no time by employing the file search function. When you transfer or back up files among iOSd devices, iTunes and pc, you will have all the files in full content that no error and file mission will happen during the process. With fast transferring speed, the whole transference process will be managed in a rather short time. The three-in-one (iPod Transfer, iPhone Transfer, iPad Transfer) iTransfer wins the same user-friendliness and performance as iTunes. The direct drag-and-drop and visual operation mode is added to provide user better experience. You can manage any media file transference within just a few simple clicks. If you have some questions to inquiry, you can ask for technical help via E-mail, tutorials, Website FAQs, Discussion Boards/Forums, Live Chat, Online Contact and telephone. how to use Leawo iTransfer?